On 23 November 2018, H.E. 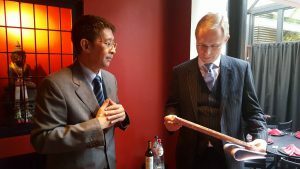 Mr. Manasvi Srisodapol, Ambassador of Thailand to Belgium, hosted lunchoen in honour of Mr. Stephane Mund, Diplomatic Advisor to the Prime Minister of Belgium. Also present was Ms. Regine Vandriessche, Director of Asia and Oceania, Federal Public Service of Foreign Affairs of Belgium. 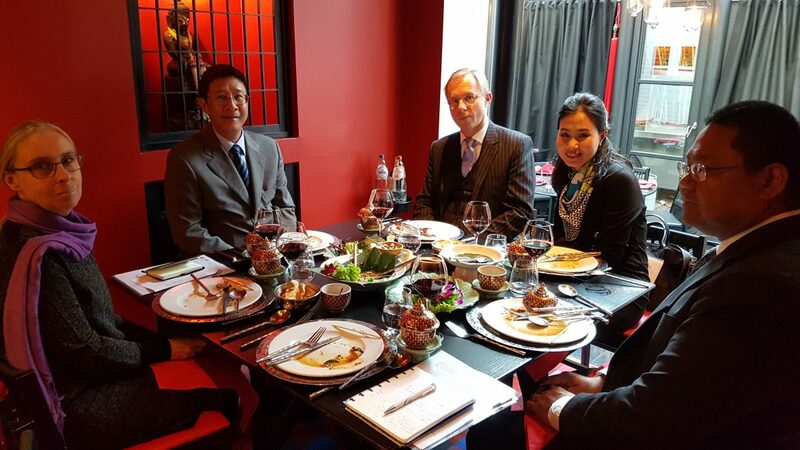 Both sides discussed to follow up on matters that were raised between the Prime Minister of Thailand and Belgium during the bilateral meeting at the ASEM Summit on 20 October 2018.